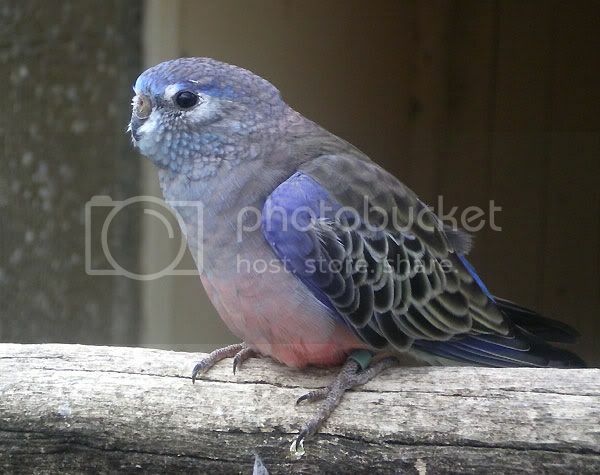 So, daughter and I finally got to visit Ballarat Bird World where, of course, there were lots of gorgeous birds! 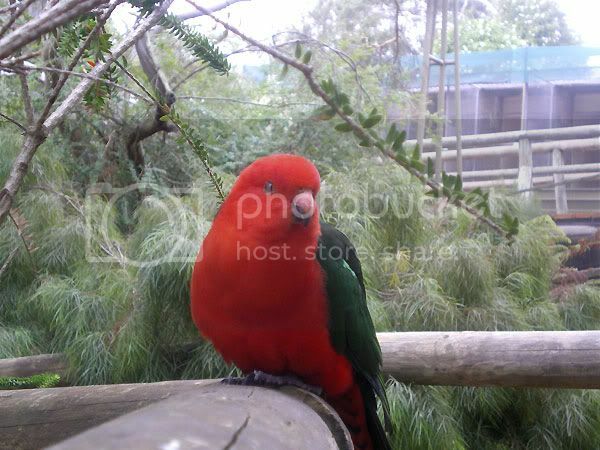 This beautiful boy came over to check us out the moment we entered the aviary. 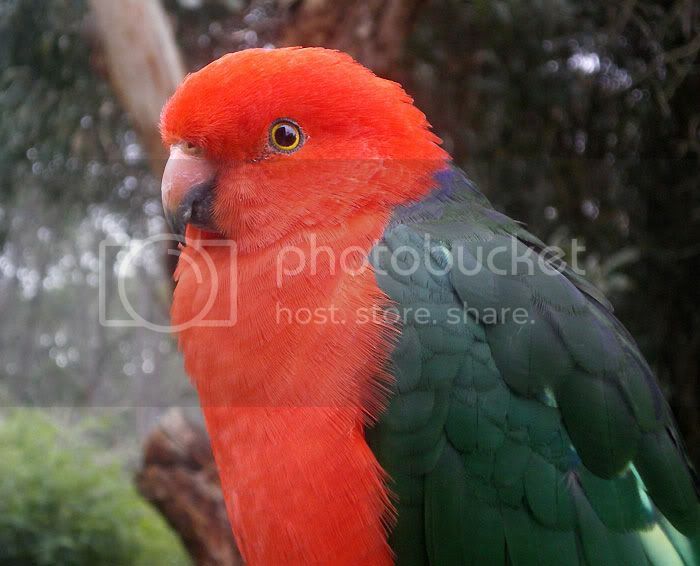 He's a King parrot. 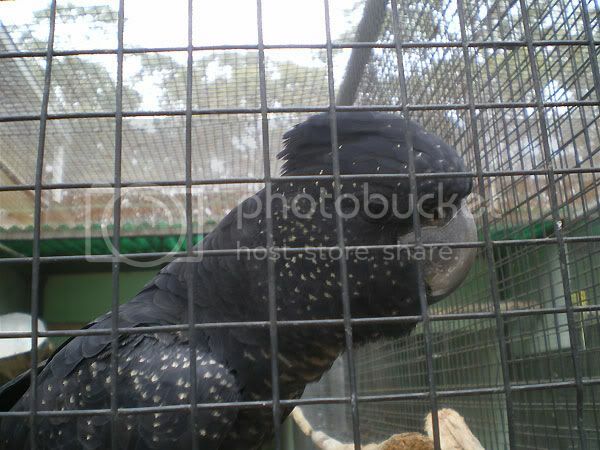 But before going into the big flight aviary where he was, we had to check out the small ones. 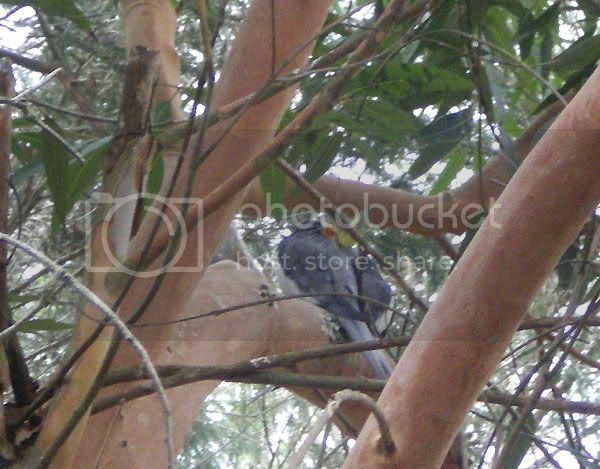 This little chap is a Bourke's parrot. I've not seen them blue like this; they're usually just pink. Beautiful female Red Tailed Black Cockatoo. I love these birds - they look like they've been sprinkled with stars! We found out as we were leaving that these ones were in fact hand-reared and, if the right staff member had been there while we were, we would have been able to go in with the birds! Spewing we missed that! Pair of Gang-Gangs. We have had wild ones of these in our yard, and they are incredibly CUTE. 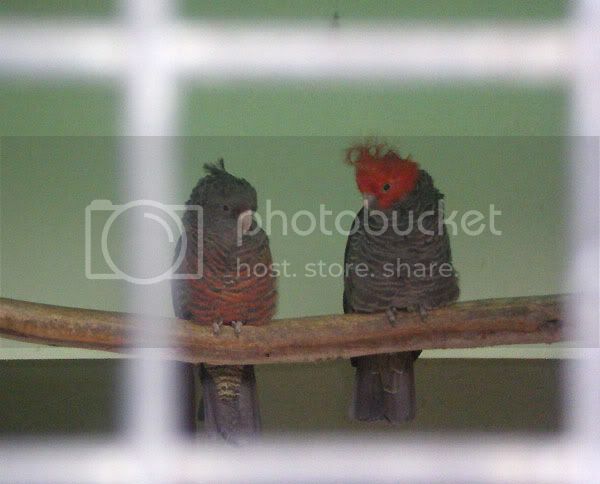 The one with the red head is the male, and his top-knot bobs when he moves. 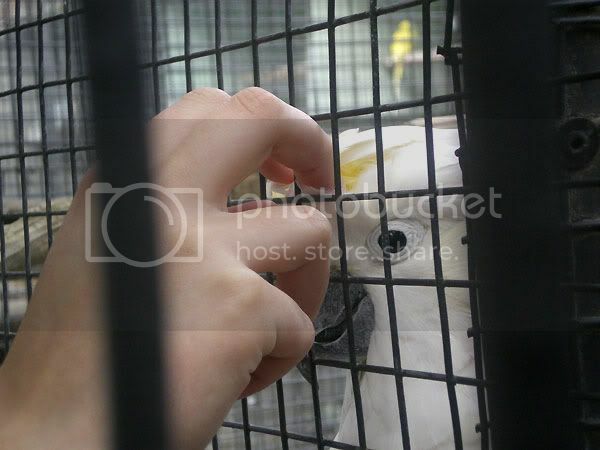 XD There was one in another cage that came right up to us and was saying "Hello" in the cutest, surprisingly deep voice! 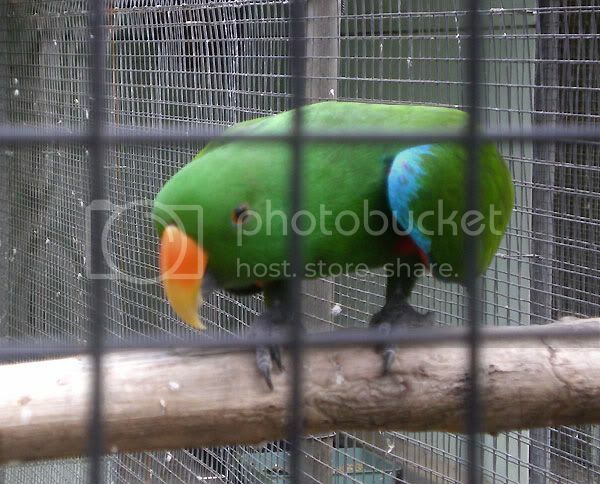 Here's what daughter REALLY was hoping to see - a male eclectus. We've seen a couple of the beautiful red and blue females in our travels, but hadn't yet seen a male outside of youtube. We saw 3 males here, so daughter was completely squeeeful. 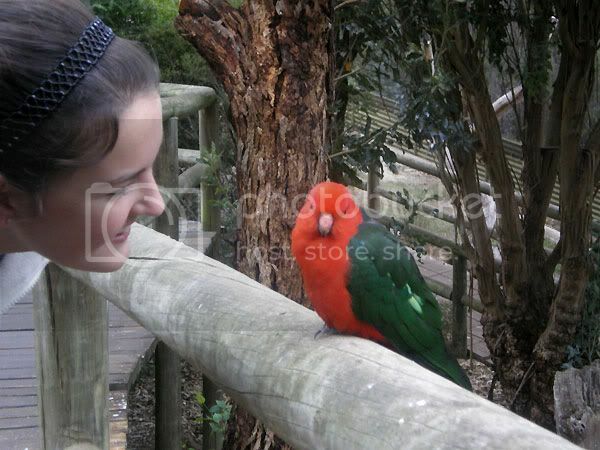 This is her dream bird. Cockatiels!! This is the closest I've come to seeing them in the wild.